There had been a protest from team-mates, and a visa complication owing to his time in jail, but since he has landed in New Zealand, Mohammad Amir has kept a low profile. His work in the nets was earnest. Occasionally he struck up a conversation, but usually kept to himself. Neither life of the party nor outcast - Amir's reintegration was almost becoming nondescript. He kept emotions in check through the early overs in his return, like a man who knows he is still in the dock, though it is years since his conviction. There had been cheers in the crowd when his name was announced in the XI. A few boos as well. Teammates might have been lukewarm but some Pakistan fans in the Auckland crowd embraced his return. They chanted his name in his first over. A few had brought "Welcome back" signs. At times, if you were in the right section of the crowd, it felt like the return of the prodigal son, brother or friend. The first over was low-key, like his attitude. Having sent his first ball down the leg side, he bowled sharp inswing at the right-handers, veering a little too far down the leg side, perhaps, but regularly breaching 140kph. It wasn't quite Amir at his best; just the kind of bowling that prompted coach Waqar Younis to later say that his return was neither great nor poor, but "pretty okay". In his second over, Amir got an abrupt refresher on what being a Pakistan fast bowler is all about. Having induced a mistake from one of the form batsmen in the world, Amir watched Kane Williamson's mishit sail towards cover, where Shahid Afridi settled beautifully beneath it, before proceeding, of course, to drop the catch. Amir kept his cool on that occasion, as teammates sent sympathetic applause in his direction. He was less impressed with Sohaib Maqsood, who dropped another straightforward catch in the 17th over. Amir let out a curt yell of frustration, before regaining his zen. "I wanted those catches to be taken because it would have really given him that confidence at the beginning of the game," Waqar later said. "Unfortunately that's part of the game. I'm sure he knows that he will come back." When the wicket finally came off his final ball of the evening, Afridi - the catcher - made the more triumphant jubilation, striking his star-man pose as teammates converged. There were some high-fives and pats on the back for Amir. On the scoreboard, his returns read 4-0-31-1 - figures in perfect step with the ethos of his last week. 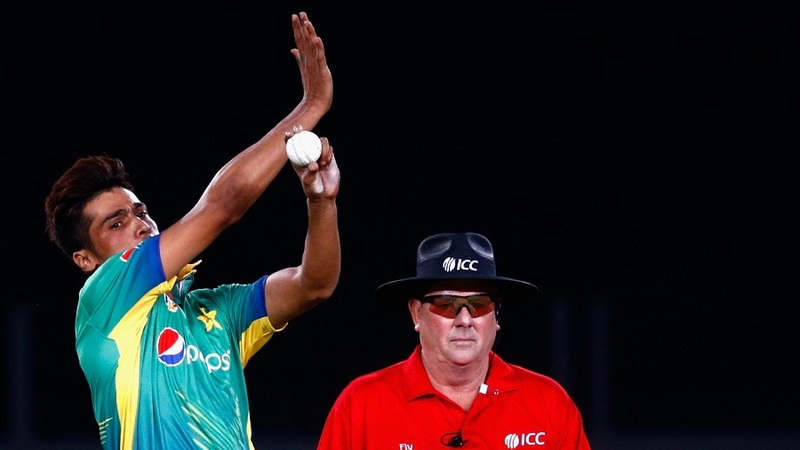 "I thought Amir bowled pretty okay," Waqar said, summing up. "He'll probably get better and better. I'm expecting him to give breakthroughs with the new ball, which I think he's got the capability to do." It may take time for those capabilities to be fully realised, but opportunity beckons, with an Asia Cup, a World T20 and, later, an England tour on the horizon. For now, Amir has suggested his skill belongs on the international stage, though he hasn't quite set that stage alight.